EAGLE, Id. 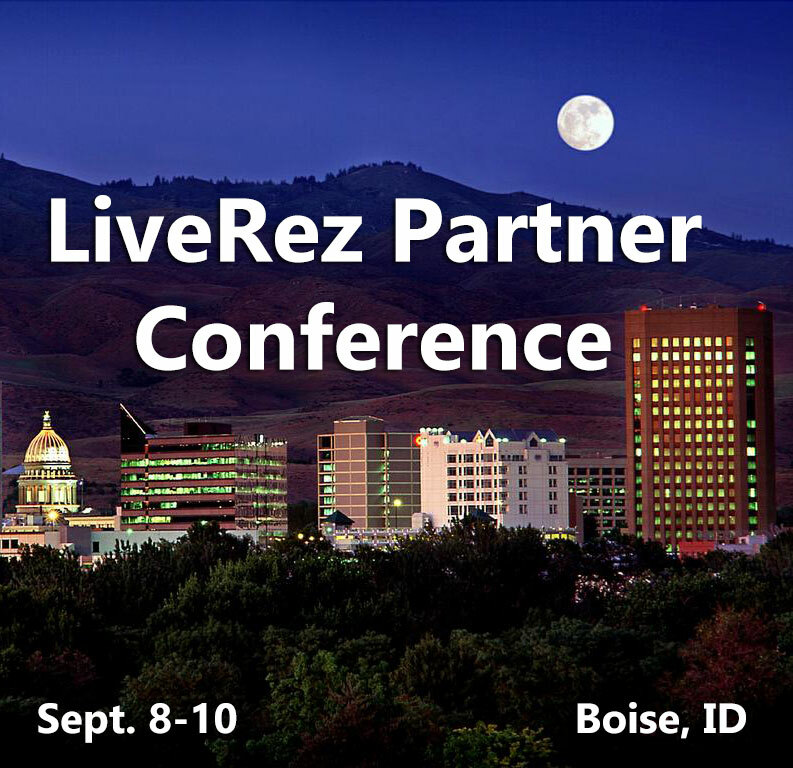 –– LiveRez.com, the industry leader in cloud-based software for professional vacation rental managers, will hold its inaugural LiveRez Partner Conference Sept. 8-10, 2014 at the newly renovated Owyhee Conference Center, a historic landmark set in the heart of downtown Boise, ID. The conference will include hands-on training of the LiveRez software, workshops about vacation rental management and software best practices, broad networking opportunities, and a vast array of entertainment options to enjoy in the conference after hours. Key among the topics discussed will be business strategies to help professional managers decrease their dependence on listing sites, like HomeAway, VRBO and others. The conference is spearheaded by eLearning expert Doug Covey, a former Blueprint Education CEO who recently joined LiveRez as its Vice President of Partner Education. The three-day conference will feature a full docket of hands-on training classes, keynote speakers, networking events and the opportunity to tour the LiveRez headquarters and meet its staff. In the days before and after the conference, and during the evening hours, attendees will have the freedom to experience Idaho’s legendary outdoor recreational activities, as well as enjoy Boise’s vibrant downtown. Full conference details can be found at LiveRez.com/conference. For more information on the 2014 LiveRez Partner Conference, please call (800) 343-2891 or email Conference@LiveRez.com.